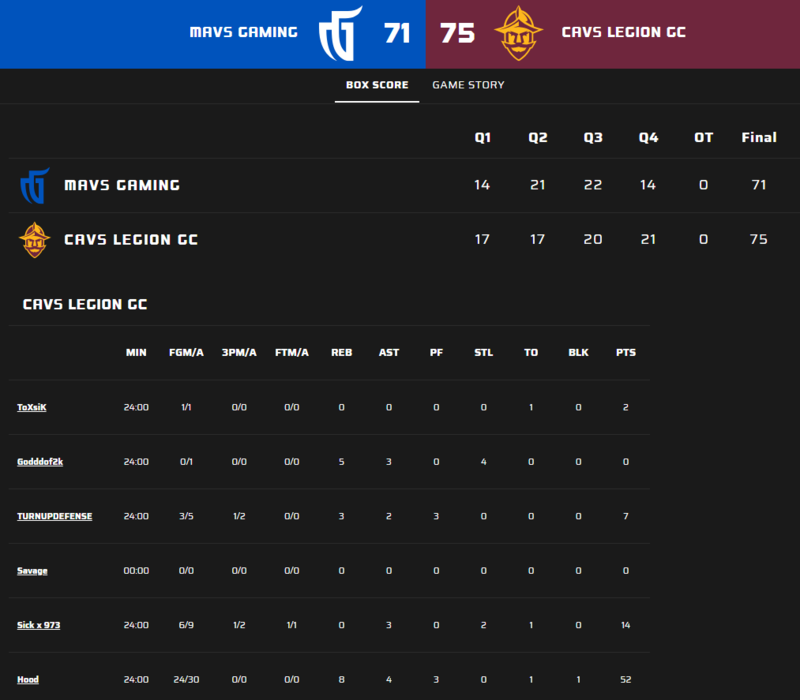 Cavs Legion Places 4th in “The Ticket,” the NBA 2K League’s Third and Final Tournament. “The Ticket,” the third and final tournament of the season, took place in NYC this weekend and a guaranteed playoff bid and $150,000 worth of prize money was on the line. 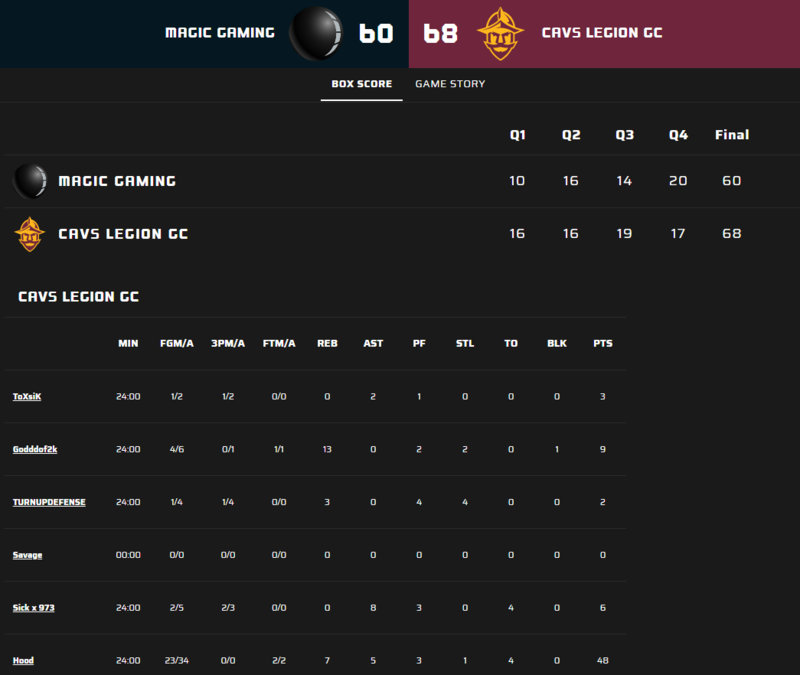 Cavs Legion started the tournament by defeating Magic Gaming in the first round 68-60. Hood led all scoring with 48 points and 7 rebounds, while Sick nailed 2 three pointers and dished out 8 assists. You can read the complete game story HERE. 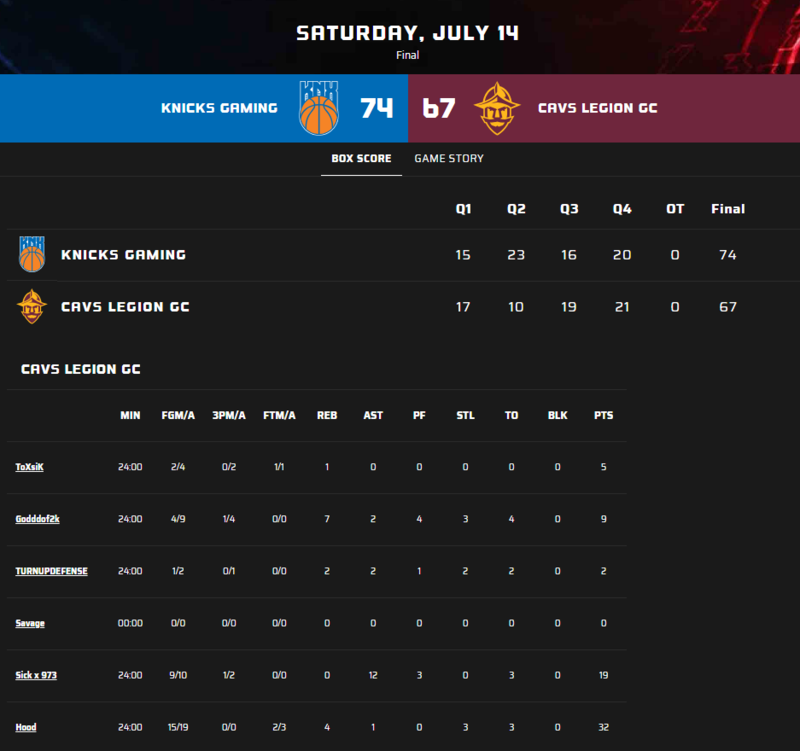 In the second round, Legion squared off against the 2K League’s #1 draft pick “Dimez” and Mavs Gaming. With 51 seconds left in the game and the score dead-even, Godddof2k held strong on the defensive end with a timely takeaway from Dimez to set up Hood for the dunk. This dunk was Hood’s 52nd point, the most points ever scored in one game in the short history of the NBA 2K League. The Legion walked away with the victory by a score of 75-71. You can read the complete game story HERE. We continue our regular season schedule with our next game on July 21st at 7pm against Warriors Gaming Squad. With only 4 games remaining in the season, the playoff race is tight and we’re anticipating some of the best 2K action in the coming weeks. Make sure to tune in at Twitch.tv/NBA2KLeague!